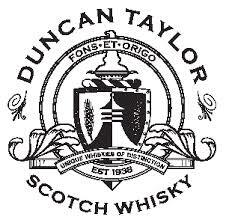 Duncan Taylor Scotch Whisky Limited is located in Huntly; a town in the North East of Scotland, which is rich in heritage, has a vibrant traditional culture and is steeped in history. To commemorate one of the important landmarks to be found in the town of Huntly, Duncan Taylor Scotch Whisky Limited released the Batthill range which consists of some of the finest 6 to 10 year old single malts. Also included in this range is limited bottlings of several older whiskies such as 18 year old Macallan and 16 Year Old Aberlour. Battlehill holds a historical significance in the battle for the throne between Robert The Bruce and John Comyn, Earl of Buchan, who was one of the most powerful nobles in Scotland. Robert The Bruce’s son Robert Bruce had taken ill and was treated in the town of Huntly. Edward, Robert The Bruce’s brother had moved a large part of his army to safer wooded lands of Slioch, south of Huntly. John Comyn seized this opportunity and assembled an army to attack Robert The Bruce. An archery battle took place without either side gaining a decisive victory, Earl’s army eventually withdrew. Battlehill is one of many historical landmarks situated in and around Huntly that holds a particular significance in the history of Scotland. The whiskies are bottled at 43% ensuring that they are accessible for all to enjoy.